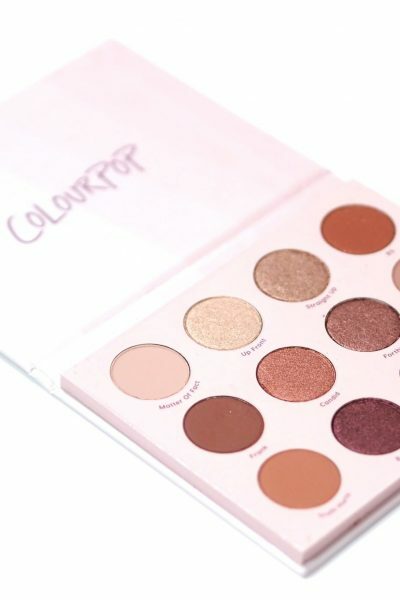 Over the last year or so, I’ve seen more and more rave reviews of the Michael Kors beauty range but until recently, I’d never tried anything from the range myself. The Michael Kors beauty range is stocked at Debenhams, and consists of the different Michael Kors fragrances and body products. I have the Michael Kors White Eau de Parfum, which is available in 30ml, 50ml and 100ml bottles priced between £39 and £79. Michael Kors White is the newest fragrance in the collection, and like the name suggests, is based on white flowers. 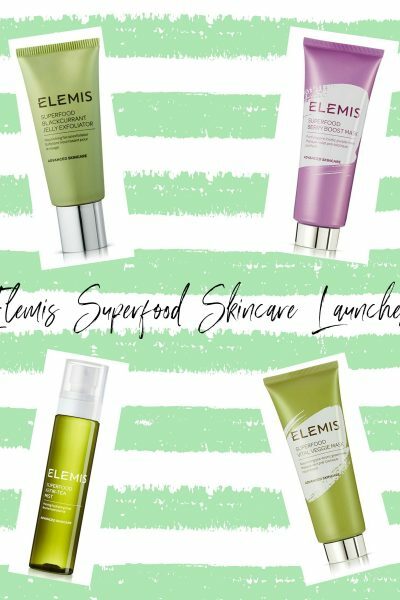 The top notes consist of aldehydes, freesia, ylang-ylang and violet leaves, the heart contains notes of tuberose, white peony, gardenia and Egyptian Jasmine, whilst the base is made from white musk, amber, tonka, vanilla and cedar. 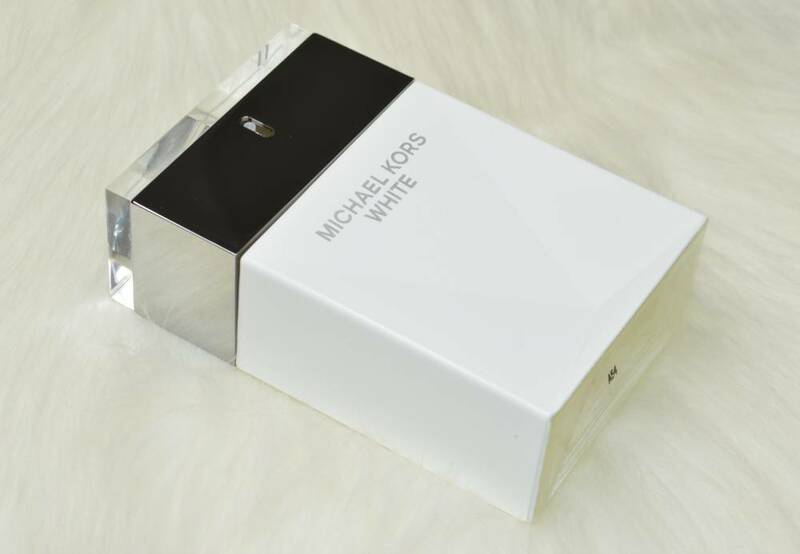 The Michael Kors White Eau de Parfum bottle is unlike any other bottle within my fragrance collection, with its rectangular shape, and chunky silver lid complete with a button encompassed within it. In all honesty, its not the prettiest perfume bottle I’ve ever seen, but I quite like the angular design. Scent wise, it’s a very strong fragrance which needs only one spray as it can be very overpowering, especially as it’s so longlasting.. I’d describe White as being the white floral version of DIOR’s Poison in terms of potency, longevity and silage – when you walk into a room, everybody is going to be able to smell your perfume, which some might not like. I typically prefer more woody and sweet scents, but White has been a nice addition to my perfume collection. I do wish the atomiser would dispense less fragrance than it does, as a lighter mist would be much better for such a strong fragrance. If you like white floral scents, you’d love Michael Kors White Eau de Parfum as it’s smells so fresh, and crisp. 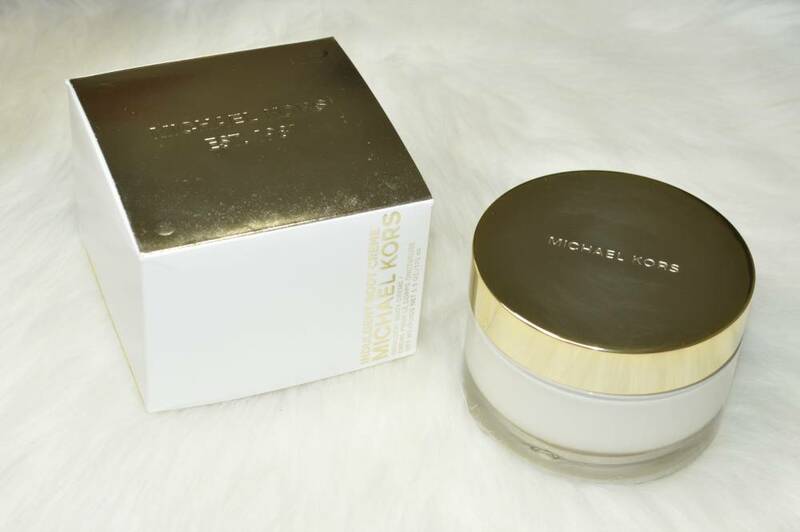 In addition to the Michael Kors White Eau de Parfum, I also have the Michael Kors Indulgent Body Crème 175ml £42, which is packaged within a gorgeous white and gold box. The Body Crème itself is packaged within a stunning, weighty glass jar with a gold metal lid, and it looks so luxurious on my dressing table. 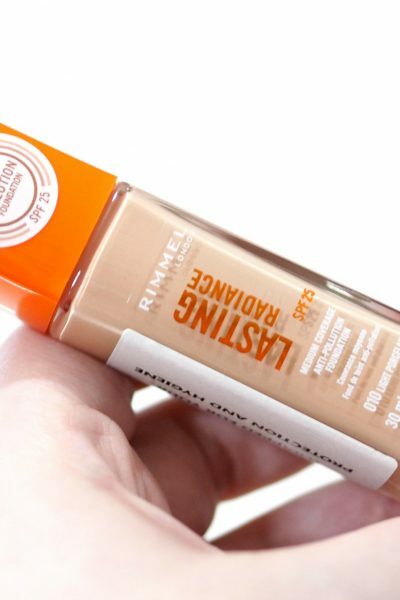 I thought the fragrance of the Body Crème might have been similar to White, but they’re quite different. White is a strong, white floral scent whereas this cream has a more warmer and woodier scent thanks due to the tuberose. I do prefer the scent of the Body Crème to the White fragrance, but they do compliment eachother as they’re both floral based but when I wear White layered over this cream, it does become a little muskier than when I wear it alone. 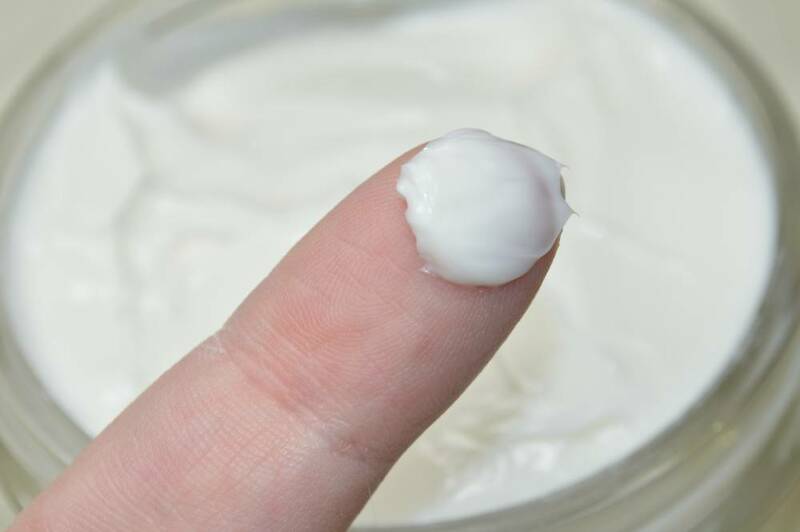 This cream is very thick, and rich with a little going a long way, but even though it’s very rich, I find that it absorbs into the skin quickly without leaving my skin feeling sticky or greasy like some body butters tend to do. 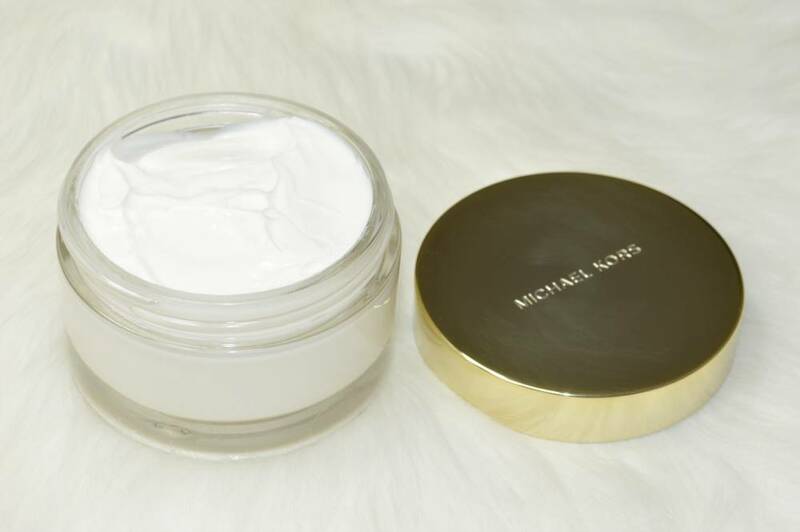 Due to the price, the Michael Kors Indulgent Body Crème is obviously an high end item but it would make for the perfect gift, especially if you know someone that has everything and are difficult to buy for.. it’s just so luxurious, and stunning both in appearance and scent, that anyone would be thrilled to own it.